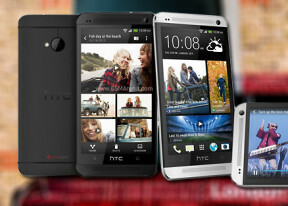 The HTC One packs a 4.7" Super LCD 3. The resolution is 1920 x 1080 resulting in an impressive 469 pixels per inch. When you add up the full RGB matrix of the LCD screen and the typical for the company's recent flagships good contrast and vibrant colors you really get an amazing screen. The display is also pretty bright, which makes it even punchier. It's not the least reflective screen around and it does tend to attract lots of fingerprints, but we think the image quality more than makes up for that. On top of the screen HTC has implemented the so-called Infinity Glass, which is resistant to scratches and eliminates glare for a better outdoor experience. The HTC One features a full metal zero gap unibody. The body frame is made out of aluminum and inside the casing HTC has crammed all the different bits and pieces of technology. It feels rock solid and great to the touch - the smartphone is generally build like something that came out of a jewelry rather than a smartphone factory. The sloping edges give it a slim feel towards the edges while the thickness builds up towards the center of the back, much like with the Windows Phone 8X. At its thickest part the HTC One measures 9 mm but the overall feel of the device is slimmer. Weighing in at 143 g the HTC One feels even more solid. We guess we can attribute the heft of it to the metal casing used. On the back there's the impressive 4 MP camera with HTC's newly developed Ultrapixels. The bright F/2.0 lens is rather big and on its left there's a single LED flash. In the upper right corner of the back panel there's a noise-reducing microphone. HTC claims you can talk effortlessly with people even in extremely loud conditions thanks to its Sense Voice technology, which lets the other end focus only on your voice. Given our experience with the HTC Butterfly we are inclined to believe that this is actually true. HTC's two microphones use a dual-membrane design, which should improve the sonic experience further.